Broken or missing teeth can make you feel less confident, make it harder to eat your favorite foods, and even cause you to lose out on employment opportunities. Luckily, there is a permanent solution. Dental implants have become quite popular in recent years, but are they are truly worth all the hype? Check out these advantages and disadvantages and decide for yourself. 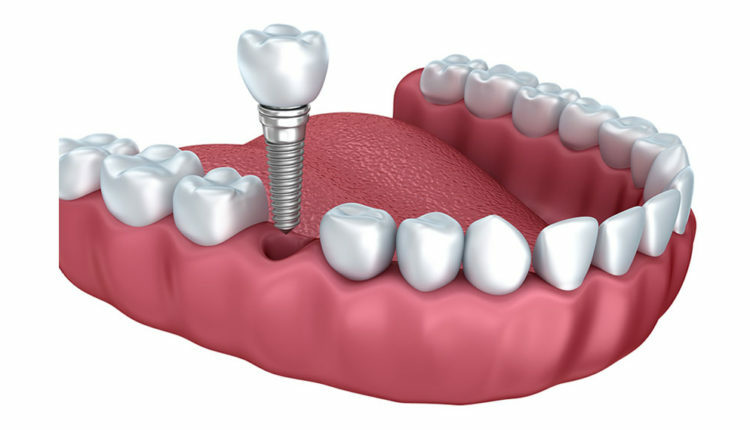 Dental implants can make you feel like an entirely new person, especially if you have more than a few missing teeth. They improve your smile and overall facial structure by making your cheeks fuller and your smile brighter, which often leads to higher self-esteem. Implants also make it easier to chew food and can even improve speech since you rely so much on your teeth to pronounce certain words. Unlike dentures, which are removable and only last a few years at a time, dental implants attach to posts inside your gums, which eventually fuse to the jawbone and become permanent. They are easy to care for, too. Like natural teeth, you simply need to brush and floss regularly and have regular dental checkups. When implanted by a knowledgeable professional and properly taken care of, dental implants can last for the rest of your life. Perhaps the biggest problem with implants is that they are not a quick fix. In fact, the process usually takes several visits over as many as six months to complete. First, you must have any broken tooth remnants pulled and possibly have bone grafting if your jawbone isn’t strong enough for implants. Then, you’ll need to have the posts implanted into your gums and wait for them to use to your jawbone. Only after they’ve fused properly can the tooth abutments be attached. Overall, the dental work takes quite a lot of time and can be painful, which means many people end up taking time off work. Another major disadvantage is the cost. Just one implant costs several thousand dollars, so if you are interested in a full set of implants, you could find yourself looking at a bill for tens of thousands of dollars. This is made worse by the fact that most insurance only covers traditional dentures. Because implants function just like dentures, the permanence of them is considered a cosmetic procedure by most insurance companies. If you have been looking for dental implants in Nevada, feel free to keep your search going. Most dentists and patients agree that even with the length of time implants take to complete and even when saving up and paying out of pocket, they were well worth it. After all, can you really put a price on restoring function to your mouth and beauty to your smile? If you do decide to get dental implants, remember to research your dental professional thoroughly first. In addition to verifying his or her license and education, go in for a consultation appointment and check out online reviews or other references to ensure previous customers have been happy with their implants.